COLOR: tan with hunter trim Keep your horse’s head and ears free from flies and biting insects and protect against sun bleaching with this quality mask. Heavy duty hook and loop closures keep boots firmly in place during aggressive use. This under pad is a 3/8" piece of wool felt that is made to go under your top pad. It will conform to the withers of your horse for a maximum fit, which will help keep things in their place. Easily washed and reused. These can be ordered with or without oiled wear leathers. Available for Front or Hind legs. Keep your stabled horses comfortable with this Soft Mesh Insect Barrier. It allows the coat to breathe while protecting it from biting insects and sun bleaching. Color: Tan with Burgundy Trim If your horses are turned out on a regular basis, protect them from biting insects and heat while protecting coat colors from sun bleaching. We know how important it is take care of your horse. We offer a variety of horse blankets to keep them warm from Cactus Gear & Relentless. 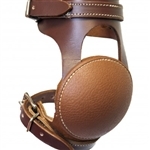 We offer horse boots to protect & support their legs, Back On Track, Equi FlexSleeves, Polo Wraps, Ice Vibe Boots, etc. Weather it is for performance, injury recovery, maintenance, or just pampering we have it. To be the best at what you do, it's smart to take the best care of your horse as possible. Horses are athletes & need to the best quality products they deserve. Enjoy the free shipping!